I’m not much of a gardener. Never have been, though it’s definitely in the family, having been passed down to my sister and to her son. My father had planted, tended, and harvested vegetables from my earliest memories. Our yards always had rows of corn, squash, and green beans, as well as flowerbeds with stately Delphinium and perky Bachelor Buttons. At one point, my parents’ fence bordered the #7 tee box of the tiny but greatly loved 9-hole golf course in my hometown. My father would leave zucchini squash and yellow squash, along with fresh cucumbers and—by request—a salt shaker on the top railing for golfers to help themselves to dad’s bounty. 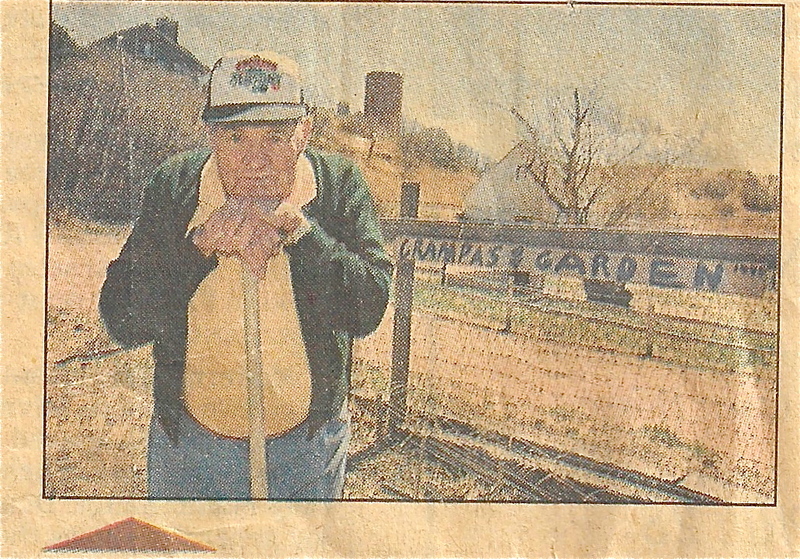 In his later years, my dad moved to farming at a community garden. Every day my dad drove off to the “the ranch,” and watered, pruned, fertilized, hoed, and harvested…and gave advice to anyone else who dropped by. My father was a true gardener in every sense of the word. Not that my father ever held court or even gave lessons—my father told his life in stories, many of which I could repeat today—and while he was regaling someone with one tale or another, he would have wandered over to their section and pointed out some pest that was chewing leaves or a place the sprinklers were missing or a way to pinch back plants for better yield. He is uncharacteristically pensive in the shot, for all that he loved his garden and his friends. He seems to be looking through, or beyond, the camera and this may be the only photo I have of him where he is not smiling. Perhaps he is somewhat bemused by recognition for something that came so naturally to him. That’s not to say he didn’t work at it. He did—rows of soil exactly the right height, seeds placed measured-inches apart. His own compost combined with garden center goodies. And always the newest techniques for a better harvest, such as water-filled plastic tubes that stood up around his tomato plants and kept the plants warm with sun-heated water during the cool nights. I don’t remember if we ever got any tomatoes, but I do remember it was everyone’s job to make sure the water tubes were kept filled. I did not get this gene—or my father’s genius—for gardening, although I enjoy potted flowers on my patio, and have taken to cultivating a small box of herbs each summer. This year, however, I was also moved to purchase a cherry tomato plant…a sad looking straggler, the last of the lot. Among its crinkled leaves and crispy stalks were already several small green fruit; all I needed to do was keep the plant watered and in the sun. I’ve managed to do this and have been rewarded with ripe tomatoes. Today, I see more pert yellow flowers tucked between the dark green leaves. I know, from watching a Colorado gardener for most of my life, that the weather will get this new life unless I find a way sometime soon to greenhouse the plant. Nevertheless, I think my father would have been proud. 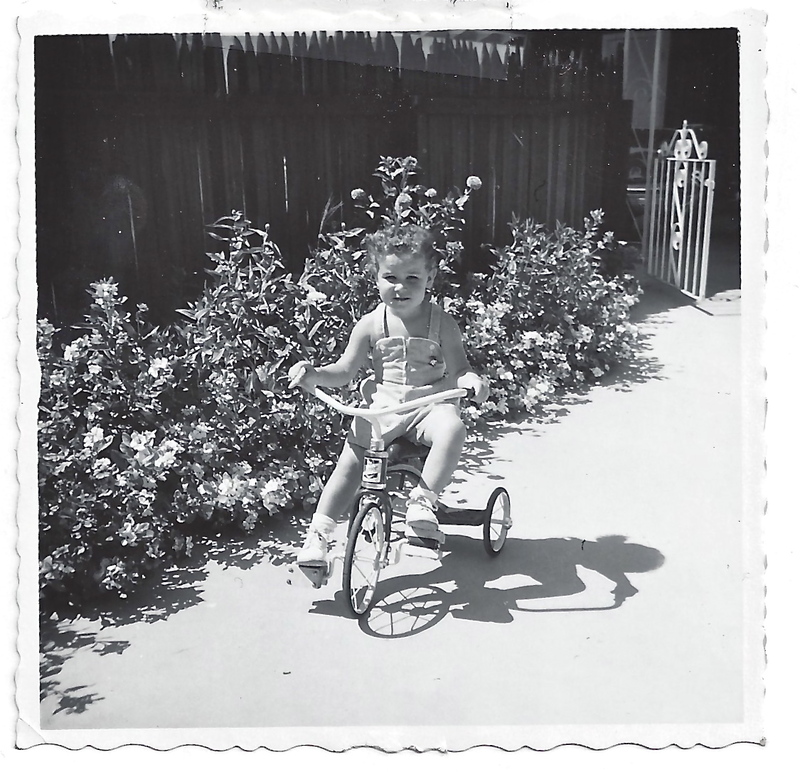 A little more about the author: Andrea Doray is a full-time writer who misses the days when her dad would come over with a card table and sack of soil to help her pot her plants, though she tries to keep up the tradition. Contact her at a.doray@andreadoray.com. If you see the irony in life--funny-haha or funny-peculiar--join me on this journey! "Nature gives you the face you have at 20, but it's up to you to merit the face you have at 50." Enter your email address to follow Mirth-Marks and get new posts by email. Only I receive your email address. Sign me up for Mirth-Marks posts!